In the Nazi Reich’s last days, in early April 1945, a group of German officers met in Bad Elster in Saxony. Among them were Generalmajor Reinhard Gehlen, still acting but discharged chief of the Wehrmacht branch “Foreign Armies East”, Lieutenant Colonel Gerhard Wessel, his successor, Lieutenant Colonel Hermann Baun, chief of the Army intelligence on the Eastern Front, and some adjutants. They agreed on the fact that the war had already been lost and that their knowledge and files should be saved for the Western Allies – those files included reliable information about the Soviet Union and the Red Army. To achieve this, they made a pact: Gehlen, Wessel, Baun and some trustworthy officers and civilians would bury as many files as possible in Bavaria, in April 1945 one of the last areas under German rule. Possibly in December 1944 German forces had discovered a map with the later occupation zones and so Gehlen and his conspirators knew that Bavaria would not become part of the Soviet zone. So they hid themselves and their files in the Alps. Some weeks after Germany’s surrender they would find some high-ranking American officers – so their plan – and offer their knowledge and files. Even though they faced execution if the Gestapo or SS had discovered their plot during the last weeks of war, this act cannot be perceived as some form of resistance against Hitler. The anti-communist German officers thought, that even though World War II was lost for the Germans, the next war would come soon enough. They wanted to make sure to be on the right side – that of the Western Allies, who would one day fight against the Soviet Union. Choosing the side of the Western Allies was – even according to Nazi ideology – the lesser of two evils. The Soviet dictator Josef V. Stalin never trusted his Anglo-American allies. In fact: he trusted nobody, but when it came to foreigners he was paranoid, this was something he shared with nearly every Soviet intelligence officer. The West had recognized the Soviet Union in the 1930s, but Stalin felt, that this had only happened because they had wanted a strong anti-Hitler-alliance. He feared the Americans and England would attack should the Soviet Union cease their vigilance. The common war effort was Stalin’s chance to gather information not only about new weapon technologies but also any further plans the Western Allies might have had concerning the future of the Soviet Union. “Between June 1941 and November 1944 alone, more than 560 agents were illegally sent abroad from Moscow to gather intelligence (…) and altogether transferred more than 41.700 secret documents to Moscow.” (Wagner-Uhl: BND contra Sowjetarmee. S.29/30). 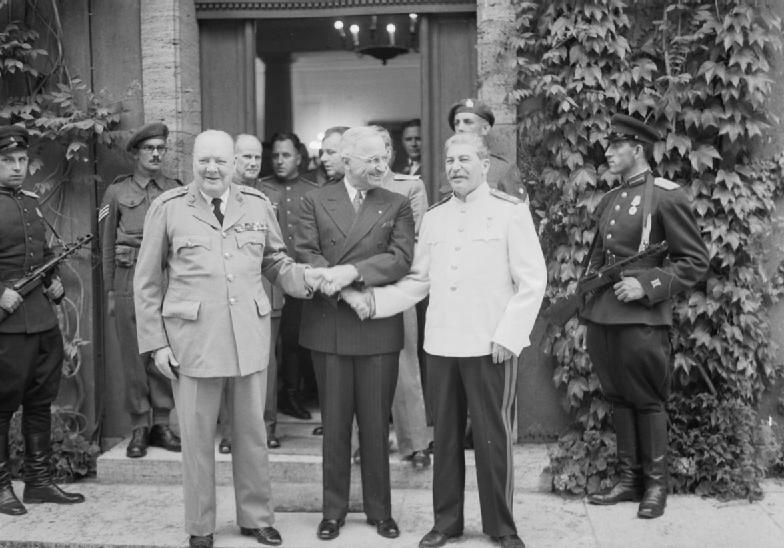 Prime Minister Churchill, President Truman and Marshal Stalin shake hands after the Potsdam conference. The military intelligence service GRU (Russia’s Main Intelligence Directorate) alone had almost 1000 employees during World War II, half of them worked abroad and outside official laws. The Western Allies on the other hand never sent as many spies into the Soviet Union. Some efforts of the British SIS (Secret Intelligence Service, or commonly known as MI6) were blown up by the Soviet counter intelligence. The US services, for example the OSS (Office of Strategic Services), never made an attempt to spy on the eastern ally. Or better: Until today we know nothing about US attempts to infiltrate the Soviet Union during that time. The problem was: European states and the US knew nothing about the communists’ plans – or those of Stalin himself. Would he attack Western Europe? And if so: When? Or were the destructions war had left on Soviet soil been so heavy, that no Soviet leader would start another World War? And so Gehlen came back into focus. Despite his thorough planning he and his men were taken prisoners of war two weeks after the unconditional surrender on May 8th 1945. 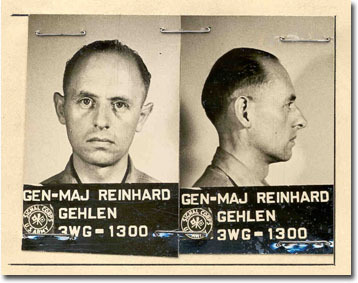 The soldiers who took them prisoners had of course never heard of Gehlen and so he was like an ordinary prisoner of war sent to a camp near Augsburg. Here the chief of the US 7th Army intelligence, General Quill, detected him. Later another American officer, Captain John Boker, made acquaintance with Gehlen. His task was to collect information about the Soviet Union and the Red Army. Gehlen offered his knowledge. He and others wrote in the first time mainly reports of their war time experience in the so called Operational History (German) Section. Yet Gehlen cared for his officers, and so he initiated that his American contacts started to search for his men and bring them together – especially to prevent that Soviet officers found some of them in the POW-camps and requested their extradition. 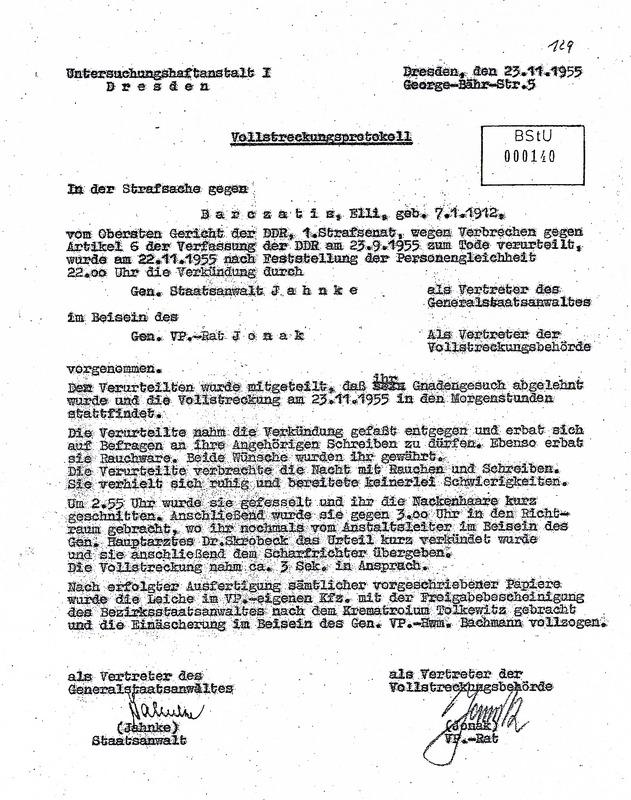 In August 1945 the US-officials decided to transfer the files of the Foreign Armies East, which had been dug out after Gehlen was identified, to the United States. The intelligence-officers of the American occupation forces were against the transfer, they argued that they need all information about the Soviet Army at the possible front, if war broke out. But when they realised they could not prevent it, they formed a new plan: Boker, Gehlen and five other former German officers were sent together with the files to Washington. There they wrote some additional reports. But at the same time Gehlen had to bury his hope to make new acquaintances of high-ranking officers or politicians in Washington. 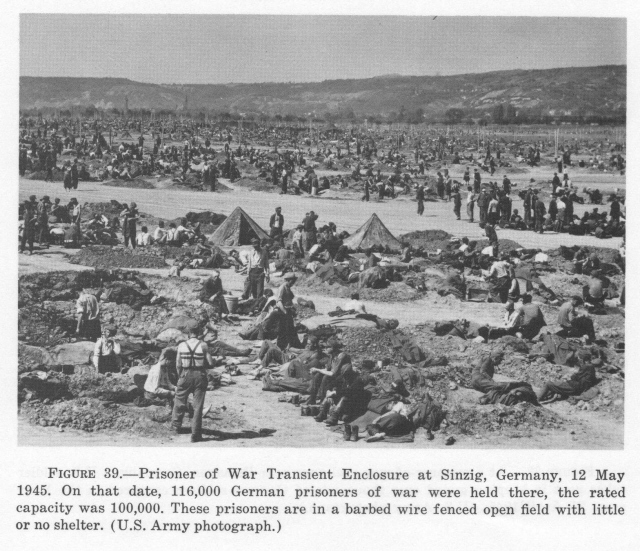 In June 1946 the Germans were sent back to where they came from. The reason is not clear, maybe the officials in Washington wanted them back “at the front“ to spy on the Soviets, maybe nobody knew what they should do with the Germans in the US. During his time in the United States Gehlen learned English, which granted him a big advantage in the near future. This organization will work with, not for or under the Americans. The organization will work under German leadership, duties will be given by the Americans, until a German government will be established. America should finance the organization, but not from the occupying costs (costs for stationing of occupation troops and reparations were taken from the German economy. Gehlen’s aversion against this, is an example for his nationalist feelings. At the same time this was an unrealistic requierement, because the United States needed all the money they could get after World War II, and even in 1946 the Gehlen Organization cost more than 2 million dollars per year). All findings will be send to the Americans. As soon as a German government will be established, this government will decide about the organization’s future, until this point the Americans will decide alone. That sounds quite different and is much more likely a trustworthy account. In fact, the later so called „Organization Gehlen“ (OG or Org, other denominations was „Operation Rusty“, 1946 to 1949, and „Operation Zipper“, 1949 to 1956) was much more a bunch of mercenaries than a true German office. But it was the best Gehlen was able to achieve. The US-Army paid him and his men, many of whom were professional soldiers who had never known a world apart from military. Even working for an armed force by spying on another armed force was nearer to their profession than most other jobs. 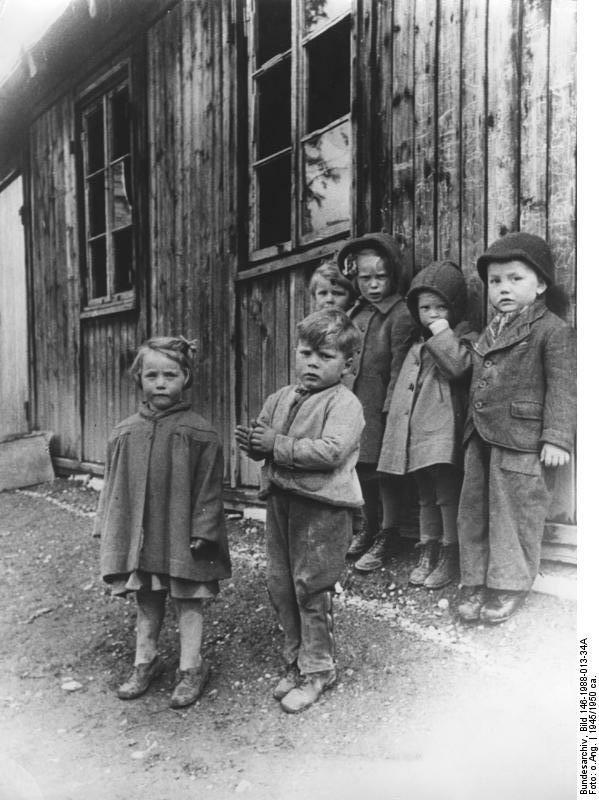 And for many Germans the situation was quite bad after the end of war: Many did not have real jobs before the German „Wirtschaftswunder“ – the economic miracle – in the 1950s. 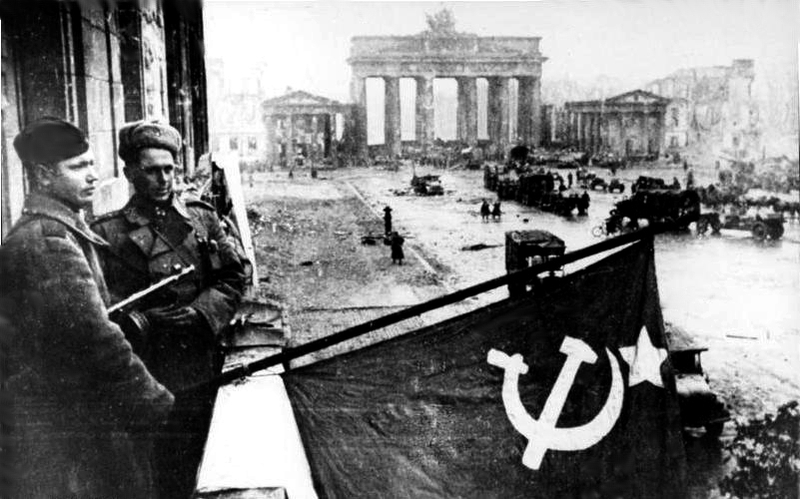 The main target of the so called Org was spying on the Soviet Army in Eastern Germany until the Federal Office for the Protection of the Constitution (Verfassungsschutz), the Western German counterintelligence, was established in 1950. 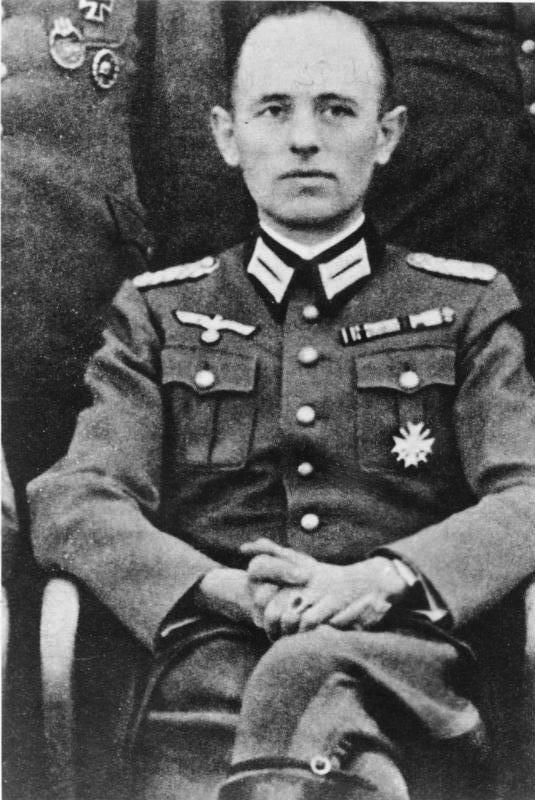 Former Wehrmacht officers made evaluation and analysis: For example one of Gehlen’s former commanding officers, Adolf Heusinger, was for a short time leader of the evaluation and analysis branch before he started working for the newly established German government. Agents in spying and counterspying needed other expertise for gathering of information as well: Radio location and monitoring for example – often with outdated former Wehrmacht equipment or new American gear. Many soldiers from the former Abwehr (the Wehrmacht counter intelligence) knew members of Gestapo or Sicherheitsdienst of the SS (SD). And since anti-communist views were the common link and tie between Gehlen and the Americans, why not employ these experienced Gestapo or SD men, too? The American policy was to charge criminals of war and criminals against humanity, but the Soviet threat became too obvious. So many former Nazis, some with no personal involvement in crimes of the Third Reich, some highly indicted, were engaged by the Org. As long as the US-Army paid the Org, the officers made sure to engage them only for menial jobs. But many criminals were directly paid by US-offices, for example the „Butcher of Lyon“, Klaus Barbie. When the Org gained the CIA’s attention, the CIA not only saw the achievements, but also the bunch of former Nazis working for the organization. A tricky situation: The US armed forces were under pressure to save money, Cold War or no Cold War. And the Org needed money to expand and gain new information and evaluate them. At the beginning, before the currency reform dried the black market in Western Germany, it had been a good way paying agents with American products, especially cigarettes that were far more precious than Reichsmark. The currency reform suddenly made things much worse: Gehlen was in need of a new money source. In 1948 CIA agent James Critchfield was sent to Pullach near Munich, were the Org had its headquarters since December 1947, to evaluate the situation. He was never certain about the employees, but in the end, he saw Gehlen and other leading Org members as soldiers who had simply done their duty during World War II (The war crimes of the Wehrmacht were negated, minimized or blamed to the SS, thanks to the Operational History (German) Section. Gehlen’s and other members’ personal guilt even today is seen as controversial.). 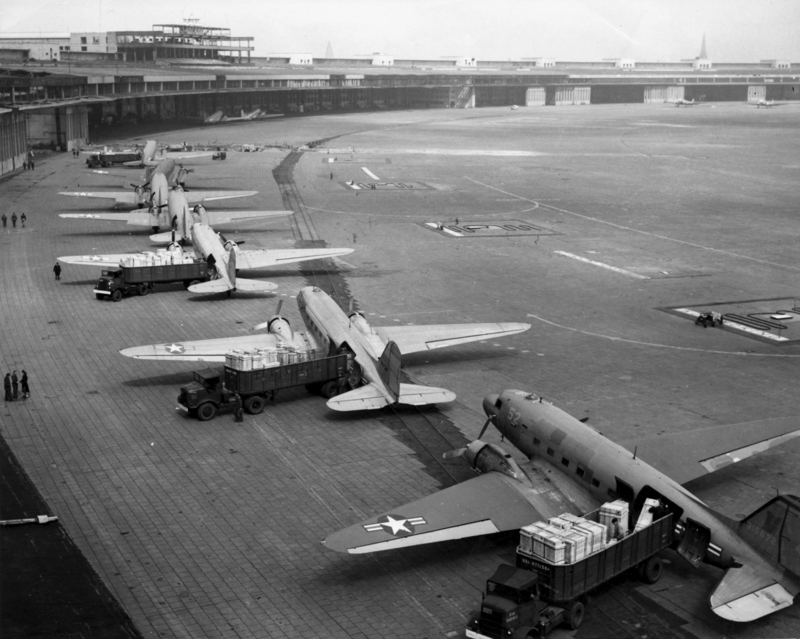 U.S. Navy Douglas R4D and U.S. Air Force C-47 aircraft unload at Tempelhof Airport during the Berlin Airlift. 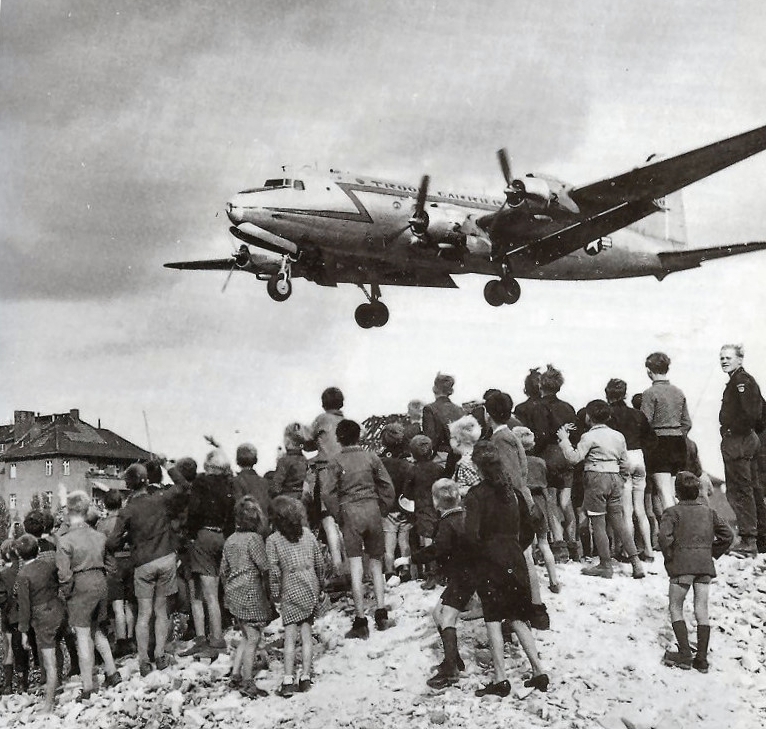 Berliners watching a C-54 land landing at Berlin Tempelhof Airport, 1948. Another reason for his consent to integrate the Org into the CIA was their good work during the Berlin-crisis. The Soviet had blocked road excess to the city to force the Western Allies to withdraw the new Deutsche Mark currency from Berlin. To keep up the city’s supplies the Allies started the until today famous airlift. The Org counted the Soviet fighters on the air fields, in the air and on their way to or from Eastern Germany and were able to tell that the Soviet Union would not crucially harm the airlift. If the airlift had been stopped, other ways to Berlin – by road and train – would have had to be used to supply the city. And this could have meant war. On July 1st, 1949 the Org was turned over from the US armed forces to the CIA (Central Intelligence Agency). Even after this date, many former Gestapo and SD members were still employed. Cold War became colder (or hotter) after 1949, the rejection to employ war criminals and die-hard Nazis dwindled away. 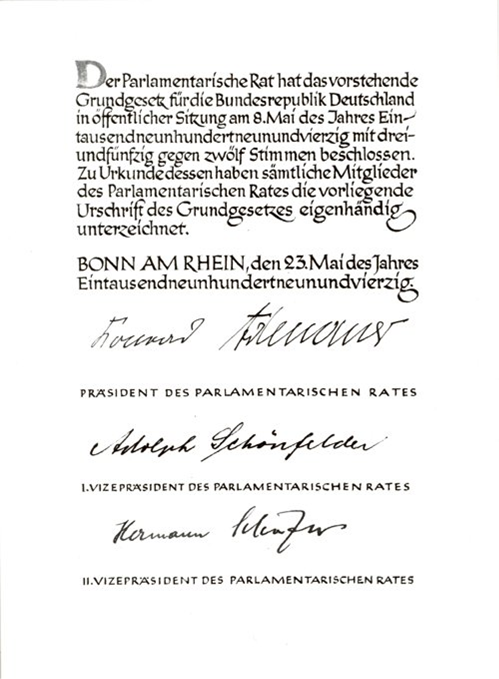 At the same time the founding of the Federal Republic of Germany (BRD) was initiated with the publication of the Grundgesetz, the German constitution. 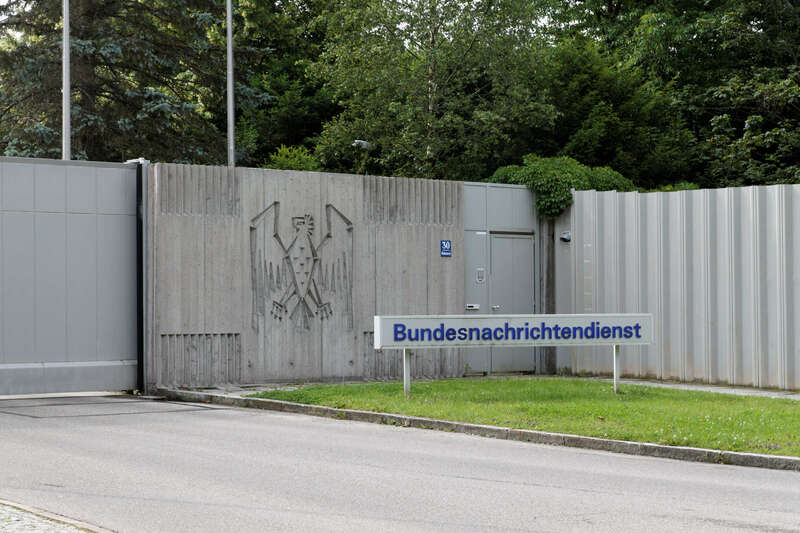 The Org, which had worked on internal counterintelligence – for the British and Americans – got a rival: the Bundesamt für Verfassungsschutz (BfV, Federal Office for the Protection of the Constitution). The organization’s responsibility was counteracting internal threats like right- and left-wing extremists and foreign spies operating in Germany. Gehlen wanted the position of president of the BfV for himself, but the British government mistrusted him. So Otto John became first president of the BfV. He had been in the periphery of the July 20th 1944 plot to overthrow Hitler and had later fled to the Great Britain, were he was employed in the psychological warfare. His brother was charged for treason and executed by the Nazis. Many former German soldiers still felt an aversion towards John, because of his personal history. And what was worse: John had no clue of how secret intelligence actually worked. The first employees of the BfV were mostly anti-Nazi, many of them had a social-democratic background, some had fled from the Soviet Occupation Zone to the West. John intended to strengthen the organization’s anti-communist attitude. But the problem was: The small opportunities the BfV had compared with police and the Landesämter für Verfassungsschutz (LfV, German Federal State Authorities for the Protection of the Constitution) remained unused. After 1954 an anti-communist attitude was much more necessary for joining the BfV (or LfV) than a democratic disposition. Another secret service was established by Friedrich Wilhelm Heinz. His biography is interesting: An officer in World War I and member of Organization Consul, a group of right wing terrorists that had murdered German pacifists and democratic politicians, he was later member of the Nationalsocialist Party, but left the party before 1933. He later became officer in the expanding Wehrmacht department Abwehr, where he was part of the group who wanted to overthrow or kill Hitler. After their failed plot from July 20th 1944 he hid until the end of the war. In the years following the German defeat Heinz first worked as journalist – as camouflage. In Berlin he made contact with nearly every western secret service and informed them about everything he knew about the Soviet Army. The information he provided was so valuable, the Allies flew him out of Berlin when the Soviets began blockading the city in 1948. In 1950 a former General of the Wehrmacht, Gerhard Graf von Schwerin, was made chief of the Zentrale für Heimatdienst (Centre for Home Service) at the chancellery. Schwerin became chancellor Konrad Adenauer’s chief advisor in military and security questions (Berater für Militär- und Sicherheitsfragen). This was indeed a secret attempt to establish new German armed forces – still forbidden by the Allies. Schwerin made Jochen Oster, son of Hans Oster, who had been executed by the Nazis for his attempts to save Jews, chief of his secret intelligence service. Oster had no idea what to do and he hired Heinz, presumably due to British interventions, to undertake his work. Gehlen, Heusinger and others did their best to overturn Schwerin, who was finally dismissed in October 1950. But Heinz stayed on as head of the so called Friedrich Wilhelm Heinz-Dienst (FWHD, the code names used were Archiv für Zeitgeschichte or Institut für Gegenwartsforschung). The new camouflaged staff for creating a new army was called „Dienststelle des Bevollmächtigten des Bundeskanzlers für die mit der Vermehrung der alliierten Truppen zusammenhängenden Fragen“ (I do not translate that!) or short: Amt Blank, called after the leader of the office Theodor Blank. He let Heinz keep his position in order to gain information about the Soviet Union and the Soviet armed forces. 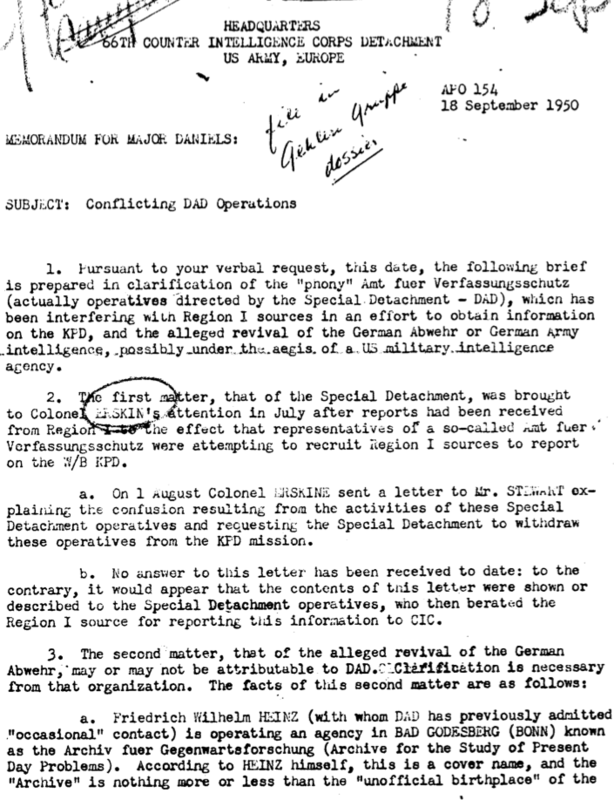 It was a bold move: A German foreign secret intelligence service was prohibited by allied laws. The internal security service was approved, the Organization Gehlen worked as an American subcontractor and informed the German government additionally as a gift from the big brother. But at the same time the FWHD and the Amt Blank broke nearly every law established between 1945 and 1949. Only in 1955 the General Treaty gave Western Germany full sovereignty. Ostbüros (Eastern offices) of the democratic parties (CDU, FDP, SPD) and the Union (DGB). All these organizations gathered information. The KgU planned and committed sabotage against the communists in Eastern Germany, but when former Nazis took over more and more power inside the group the CIA finally withdrew its support. Gathering information is not like we imagine it, it is not the work of James Bond or other movie spies. Many employees of secret services around the world go to their offices every morning and go home in the evenings. Most of them work more like journalists: they read, see or hear something, speak with informants and write reports. Only agents in the field or on the other side of the Iron Curtain needed the special abilities we know from the cinema. 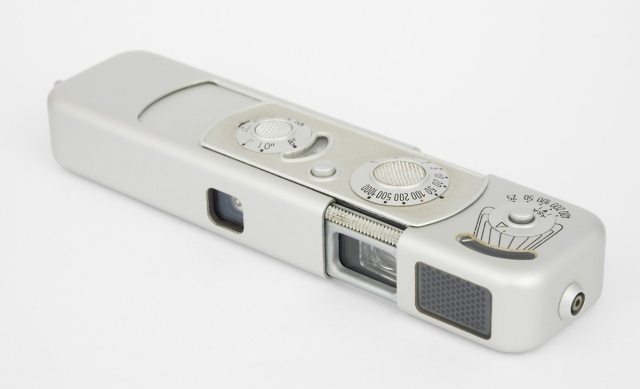 In Germany, between 1945 and 1961 these were not essential. In Berlin for example it was sufficient to buy a ticket for the underground train network, get out in the right sector of the city and not looking ominous. The secret service’s work in itself was divided into different sections: HUMINT (Human intelligence) OSINT (Open source intelligence) and SIGINT (Signals intelligence). The latter contained the two branches COMINT (Communication intelligence) and ELINT (Electronic intelligence). The simplest form to collect data and information was what OSINT did. It consisted mainly of reading the newspapers and listening to the latest news on radio. Even a biased and censored newspaper published in a dictatorial state like the Soviet Occupation Zone (SOZ) or since 1949 the German Democratic Republic (GDR) and other country in the Eastern bloc offered valuable information. The German secret services (east and west) had a big advantage in comparison to other countries, because as native speakers they understood even phrases, a second-language speaker would never understand due to lacking cultural context. SIGINT needed equipment to collect communications send via cable or radio waves. As pictured above, the Gehlen Organization was praised for their observation skills during the Berlin Blockade. Some of these were made by HUMINT, many were acquired by listening to the pilots’ conversations (COMINT). Most of the radio-operators had made their job since World War II and many of them understood Russian – at least on a small scale. But that was not the main point. They recognised the voices of radio operators ashore, at sea or in mid-air. An experienced eavesdropper could decide if operators were new or had been stationed on their post for some time. If many new operators would suddenly appear while the “old” ones stayed on their post, this could mean a significant increase of enemy forces. If the old ones left, it was only part of the normal staff rotation. The other part of the signal information gathering was ELINT. In the early years of the Cold War their responsibility was mainly the detecting of radar- and radio waves, their sources and frequencies. Not a speciality of the Org but essential for military purposes. The best opportunities the German secret services between 1945 and 1961 had was due to HUMINT. The border between the occupation zones and later the two German states at that point was still not closed so agents and informants from east could easily travel to the west and vice versa. The western services had a big advantage because the reign of the communists was harsh and many people felt hard done-by. Anti-Soviet or anti-Russian feelings had been cultivated by the Nazis and the crimes done by Soviet soldiers in 1945 (mass rapes, confiscations, imprisonment and sentencing without a reason or by a wrong accusation) were not yet forgotten. Money was a good reason for spying, too. Soviet soldiers after the victory in Berlin 1945, Bundesarchiv, Bild 183-R77767 / CC-BY-SA 3. The Gehlen Group had another big advantage when spying on the Soviet armed forces in Germany: They had their files from World War II. Most Soviet troops and many of their officers in Germany were still in the same units, so Gehlen and his men could start picking up their work in June 1945 (or September 1946 after the Gentlemen’s Agreement) where they had ended in Mai 1945. The Cold War, often described as non-shooting war, made it much easier to count tanks, artillery pieces, trucks, trains, industrial facilities and so on. Another way of spying was to bribe or blackmail officials. The most important for the United States was answering the question: Will the Soviet Union start a war? 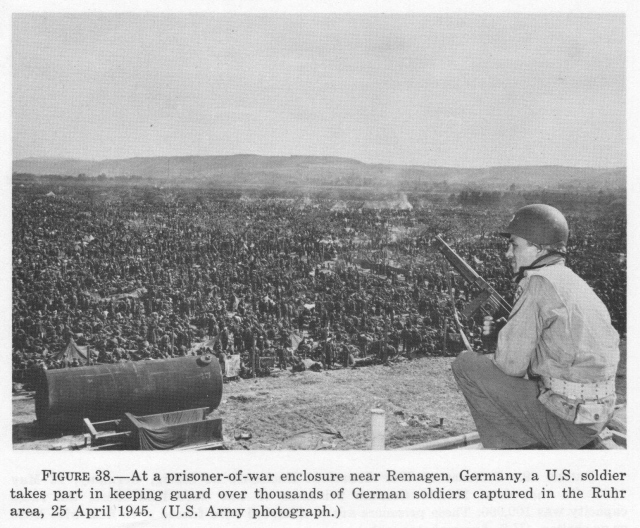 The United States and their allies for example increased the number of their forces in Europe for safety’s sake after the outbreak of the Korean War in 1950. But until the Western German armed forces were founded in 1955 the proportion of forces was 1 to 3 for the Soviet Union in central Europe, without the Soviet satellites. But even though starting a war for the Soviet Union was only possible after they themselves had increased their armed forces and – more importantly – their supplies. Except for the unlikely case the Soviet forces would make an attack without sufficient supplying. Most German men had served in the Wehrmacht before 1945 and therefore could tell what weapons the soldiers carry, the type of tanks and artillery pieces and some could even say if a unit was an elite troop or a bunch of unwilling reservists led by incompetent officers. In more general terms: Factory workers see what they produce, employees of train companies manage the daily traffic and know the routines, cleaners see and hear things, and so on. 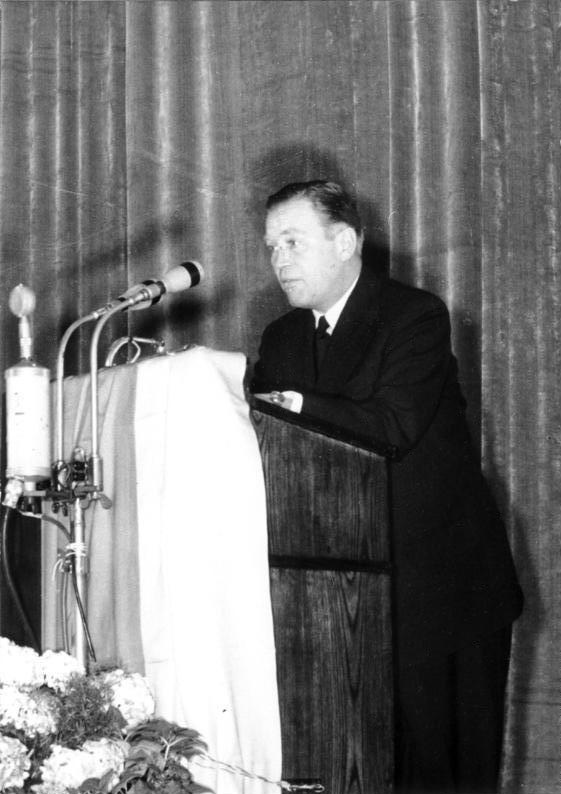 High-ranking insiders were rarely hired, one of the best contacts Gehlen’s organization made was the secretary of the GDR president Otto Grotewohl, Elli Barczatis. She was executed for “Boykotthetze” (to avoid the word spying) in 1955. They secret services simply used the potential of ordinary people working in sensitive positions. Even refugees were sent back with an order to spy, if their escape had not yet been discovered. If they unveiled secrets, they were mostly paid quite well. On the other hand it was necessary to shield offices and even refugee-camps against Eastern agents who attempted the same as the West did on their territory. Was an office or camp infiltrated the agents in the field were at risk as well. The more so, if the Soviets were able to plant agents among the higher ranks in Germany, UK or the US. The Org had some problems with this. The eastern offices, the KgU and the UfJ, also made some grave mistakes that did cost the lives of the men and women spying for them in the GDR. Only the Friedrich Wilhelm Heinz-Dienst supposedly had no leak. One big group of “agents” was essential for the western secret services: The prisoners of war and civil internees in the Soviet Union. Between 1947 and 1950 most of them came back to Germany. (A last group of nearly 30.000 prisoners and civil internees were convicted for war crimes. When the Bundesrepublik and the Soviet Union exchanged ambassadors in 1955 they were amnestied and sent back.) The Soviet Union was nearly cut off from the world: The harsh Stalinist regime introduced a paranoid xenophobia against nearly all foreigners. The Germans, working in agriculture, factories, construction business and – mainly scientists, had been deported in October 1946 – in scientific research, brought very interesting news: Location of Factories and their products, the crop-quantity on the fields, the actual Soviet weapon research in the Soviet Union and even the quality of luxury products were indicators for the economic potential. When in 1956 the last Germans came back, the US Air Force started the flights of the U-2 spy plane above the Soviet Union. Gehlen and his men were nearly everywhere during these early years of the German Bundesrepublik. He conferred nearly every week with Adenauer or the opposition leader of the social democratic party. The Amt Blank, the forerunner of the Federal Ministry of Defence, was full of former officers with connections to the Org or were even former Org employees. Even the rivals BfV and FWHD were infiltrated. Even the so-called “stay behind” forces during that time were placed under Org control, well until 1956. Stay behind forces, later known under the Italian Code-word “Gladio”, where established in every country in Western Europe to inform the Allies or fight as partisans in case of a Soviets attack. Right wing extremists were often an integral part of these groups that were funded by the British and American armed forces or secret services. The first scandal about this groups occurred in 1952, when the offices of the League of German Youth (Bund deutscher Jugend, BdJ) were raided by the German police which found weapons and black lists of German politicians, mainly from the Social Democratic Party (SPD), which had to be executed in case of war. The US-army CIC-detachment confiscated the evidence and nobody, except for some social democrats, ever spoke about this story again. The Org and later the BND established their own stay behind force until the end of the Cold War with anti-communist members and a much better cover. But still there are some hints of connections between BND and right wing and extremist “Wehrsportgruppen”. It is possible that many employees of the Org were not even accounted for in these statistics, because they worked on special projects like interception of CIA-telephones. The Heinz-Dienst had only a fifth of the personnel (about 200 employees and an unknown number of agents) compared to the Gehlen Organization. The BfV (Bundesamt für Verfassungsschutz) at its very beginning in 1950 had only 75 positions in total, and many of them were vacant. When the idea arose to found the Bundesnachrichtendienst in the early 1950s Heinz and Gehlen – the heads of the two rivalling secret services – also became rivals for the job of the prospective president of this new Western German secret service. Heinz, with his enigmatic past, could only make the race if he succeeded with his work. As today is known, his information gathering was good. But Gehlen, with the backing of the Americans, in the long run had the better cards. And the BfV (Bundesamt für Verfassungsschutz) under Otto John had to be considered as well – as Gehlen’s partner or rival. John decided to help Gehlen – why is not known. Heinz made some attempts to become president of the BfV too, and for some time had been John’s direct rival. If this had influenced John’s decision to back Gehlen instead, it was a very short-sighted one indeed. But as it may be, they found some skeletons in Heinz’ closet: Connections to a former Dutch secret service officer who had wanted to blackmail Heinz (there were also rumours about a homosexual relationship between them), falsification of documents, his membership of Organisation Consul and the NSDAP even before 1933 and the wrong military rank, which was the only accusation Heinz was not able to refute (Heinz was until 1945 Lieutenant-Colonel but always introduced himself as Colonel). 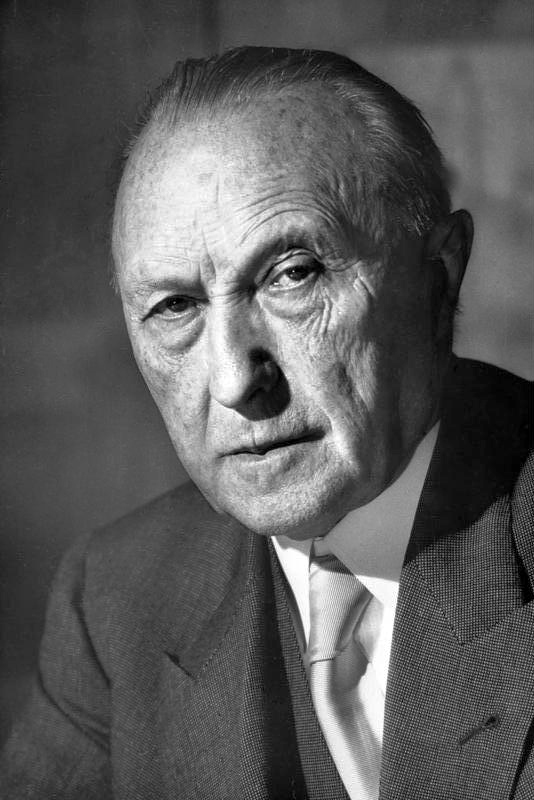 Adenauer told Blank to sack Heinz, who himself asked to be dismissed in September 1953. His secret service continued its work until the founding of the Ministry of Defence, but Gehlen had won this battle. John on the other hand gave up, before he was fired. John was discontent with the course of Western German politics. High ranking Nazis came back as politicians, judges, business leaders, public officials and if the rearmament went through also as soldiers. In 1954, after the ceremonial act for the 10th anniversary of the July 20th plot against Hitler, John, who had been guest of honour in West-Berlin, disappeared and emerged three days later in East-Berlin. He delivered a speech in which he accused the course of the Western German government. It was unclear if John was kidnapped or fled. In August he held a press conference and the last doubts about his flight to the GDR evaporated, because he spoke frankly and without manuscript, blaming the Bundesrepublik for “revival of Nazism and Militarism”. But only a short while later, in December 1955, he fled back to the BRD! There, he was sentenced to four years imprisonment but was amnestied two years later. It is until now difficult to decide whether John went unsolicited to the east or was indeed kidnapped and only played along, giving a press conference to save his life. The transformation of the Org to the Federal Intelligence Service (Bundesnachrichtendienst, BND) was at a first glance not very dramatic. But at the same time the Bundeswehr was founded and like the BND needed officers. And so many former Wehrmacht officers left the Org/BND to instead dress in military uniforms again. Gehlen had to replace them. One of his most prominent “new” co-workers, who had started working for the Org in 1951 and since 1953 could be found in the close circle around Gehlen, was Heinz Felfe, head of counter intelligence at the Org and later BND. He was a former member of the Sicherheitsdienst (SD, security service) of the SS. What at that point no one knew: Felfe also worked for the KGB and since 1951 had sent tons of material to the East. Since 1953 the suspicion against him had grown especially in the American military Counter Intelligence Corps (CIC), but the CIC never shared their suspicions with the CIA or the Germans. And until 1961 Gehlen took no actions against Felfe, he even prevented a thorough screening of Felfes background because of his Nazi-past in the SD. Above that, Gehlen never even wanted to hear the suspicions others had about Gehlen’s best co-worker. When Felfe was uncovered in 1961 Gehlen was of course blamed, too, but now he was president of Germany’s Foreign Intelligence Service (BND) and nearly untouchable. Gehlen stayed president until 1968, when the new government, with social democratic members, demanded his retirement. His successor was Gerhard Wessel, a repitition of 1945 events, when Wessel had succeeded Gehlen as leader of the staff-branch Fremde Heere Ost. Most secret BND employees later never spoke about their deeds and most files are still shut away or shredded. (Sometimes this was done to cover scandals like the actual wiretapping affair.) But after the fall of the Berlin wall the Stasi files became accessible for research and many former Stasi and intelligence officers from the Eastern German GDR later gave account of their own work and that of their counterparts in the West – even though they often provide a biased view. Today the history of the secret services is written by historians. In 2016 the Unabhängige Historikerkommission zur Erforschung der Geschichte des Bundesnachrichtendienstes 1945-1956 (http://www.uhk-bnd.de/) will shed light on the early history of this organization. Not in writing a book, but in giving access to the files. The Museum of Military History of the Bundeswehr shows an exhibition about the early history of the Gehlen Organization and the other secret intelligence services in 2016. Similar projects are started for the BfV and the Federal Criminal Police Office (Bundeskriminalamt, BKA). A book about the early BfV, written by Michael Goschler and Michael Wala “Keine neue Gestapo” (“No new Gestapo”) was published in 2015. A secret service will always cover itself in a mist of lies and half-truths – in the past, but also in the present. Therefore what every secret service in a democracy needs is a supervisor, who controls its secret work. In Germany this is the parliamentary control panel, but as we saw in the last three years with the NSA and BND scandals, this is often not enough. The future of the secret services and the democracy are interlocked. Tags: BND, CIA, Cold War, Espionage, Gehlen, German history, History, Post 1945, Secret Service, Spy. Bookmark the permalink.